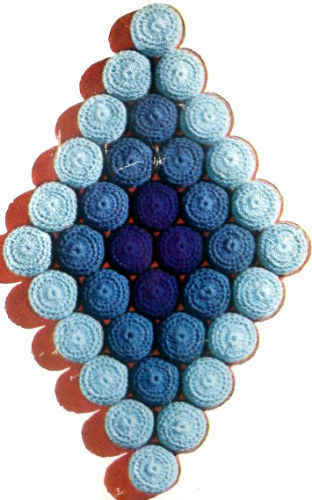 Years ago yarn companies published a lot of Bottle Cap Trivet crochet patterns. 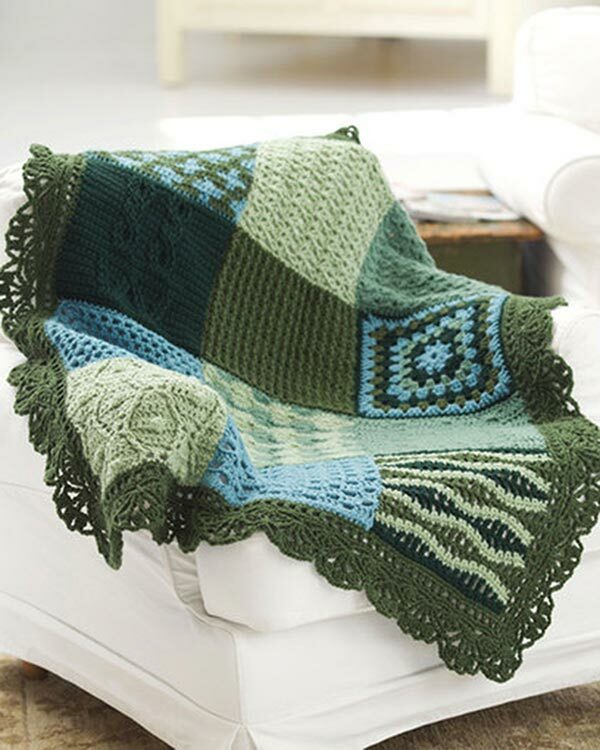 Luckily we are able to create an archive of vintage crochet patterns here on this site. Not only are we archiving the patterns but we are updating the patterns to make them more user friendly. Our updated patterns are much easier to follow than the originals. With the updated patterns your chance of success, completion and relaxation are much higher. Rnds 3-6: Ch 1, sc in each sc around; join. Rnd 7: Ch 3, (dc in next sc) around; join. Finish off leaving long end. – Insert bottle cap in wrong side of cover, solid side of cap to front. – Sew motifs together as shown in illustration. Hello! I was wondering what kind of bottle caps you are using for these projects. Can you please respond back to me on this. Thank you. 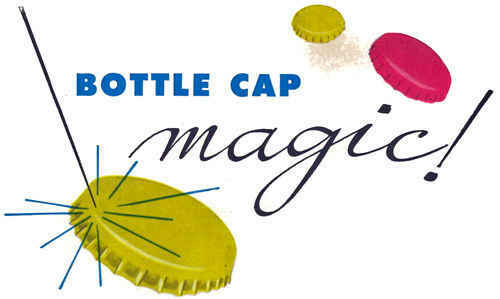 The bottle caps can be found online by searching “bottle caps”. You could also ask friends to collect them for you or ask a local bar to empty their bottle opener cap container. Could you please show us a photo the wrong side of the trivet; I am not sure mine looks correct. Thanks! I inherited a bunch of grapes trivet similar to these from my mother in law. It is etting worn and I was wondering how I was going to replace it! Thank you, Thank you! can you film how you crochet the cap and how you join them.